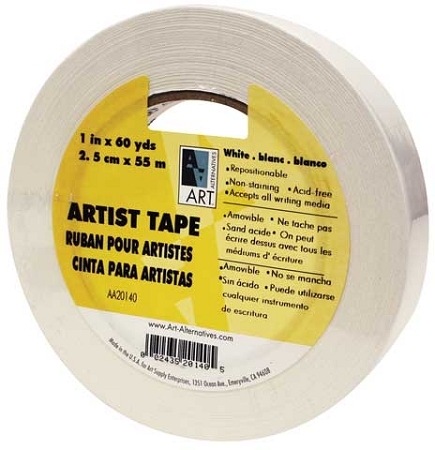 These pH neutral paper tapes are for edging display boards, hanging presentations or blocking out and cropping photos. They accept all forms of writing media, such as pencil, marker or ballpoint pen, which makes them ideal for labeling artwork, film cans, studio equipment, etc. Available in 60 yd. rolls.